Hello. I'm wondering if anyone has the technical beta build of whistler 2287.1. I want to take a look at it in a VM. 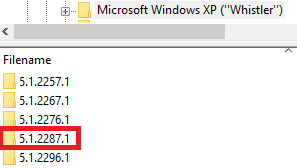 Go to google and search: winworld windows whistler and go to the beta 1 section. 2287.1 is on the FTP server, which you have access to.